Is it really Friday? Wait… It is Friday! I posted a picture of this craft on Instagram last week and everyone was excited when they saw the GOLD glitter. I get excited when I see GOLD glitter. 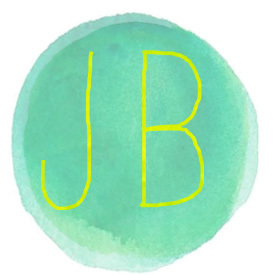 I also get excited when I see gold glitter with a hint of light near it, don’t you? 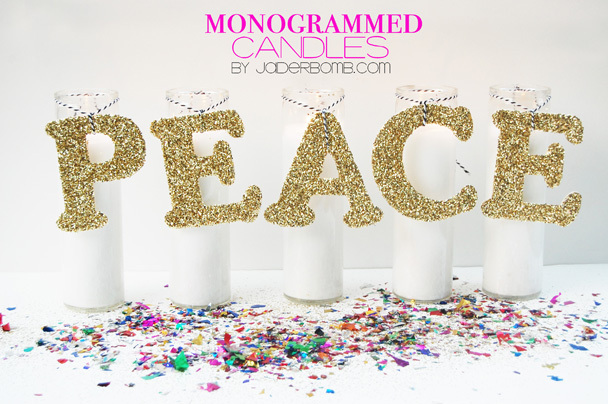 Today’s craft is super fun and will add that pop of holiday decor to any space. This is great for any occasion actually. What I love the most is you can spell out whatever you want! Seriously, how cute is this? I wish I could show you how pretty they look when they are lit. 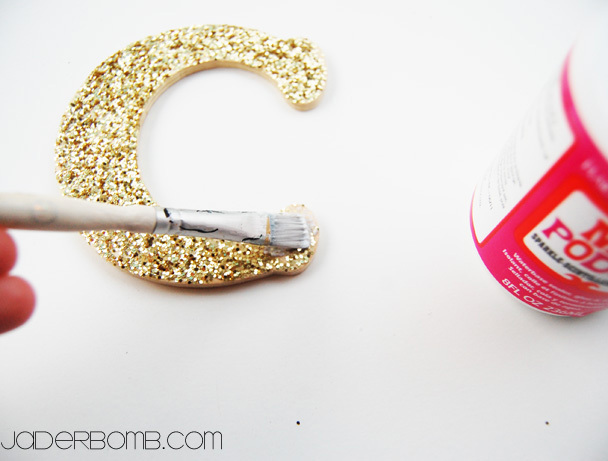 The first thing you will do is coat the letter with Mod Podge. I actually put one layer of glitter and now I am applying the second layer. 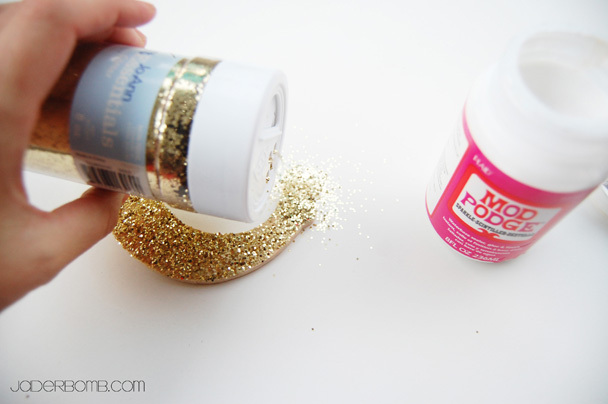 After you coat your letter with Mod Podge, sprinkle with your glitter. 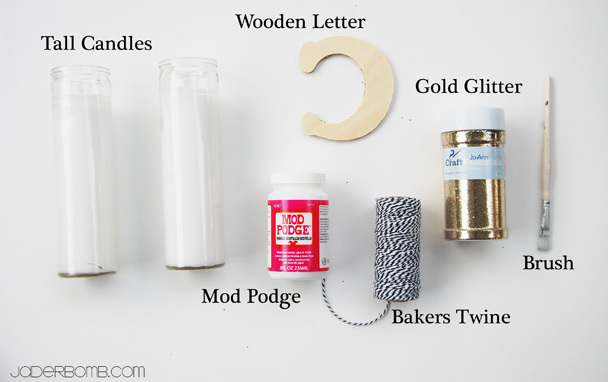 Cut a piece of baker’s twine and gently wrap it around the letter (or number). 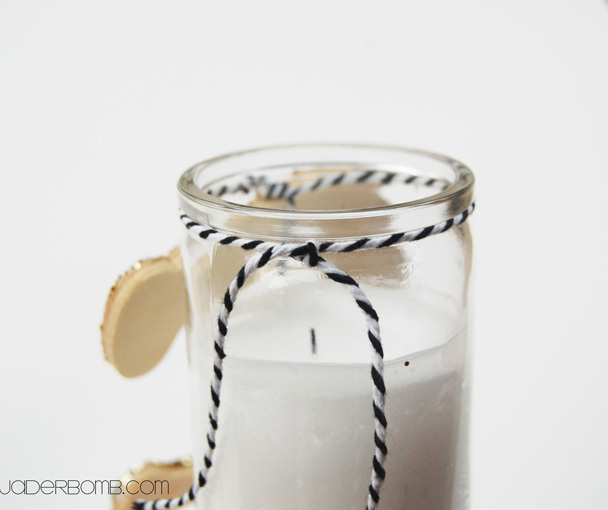 Once you wrap your twine around your letter then you will wrap your twine around the candle. BTW, I bought my candles without any sticker or wrap on it. It came clean and crisp just like the picture. VOILA! Peace on my window seal, at night, while I eat Nutella on toast, and drink a Dr. Pepper, while watching RHWOA, then taking my chewy vitamins because I can’t swallow pills…. YEP. P to the E to the ACE from my crib to yours. Don’t forget to GLITTERBOMB something! I love this idea. 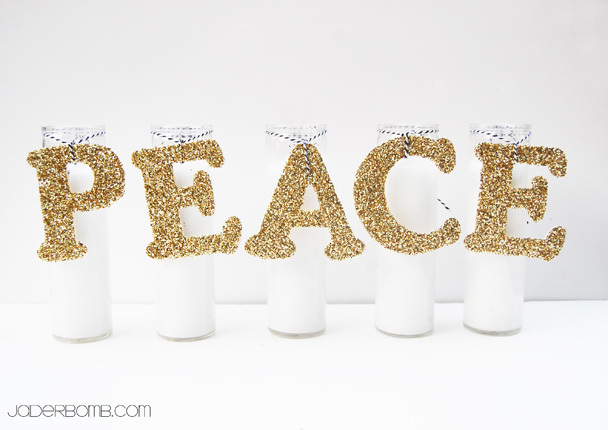 So simple and what a great decor item. Can be used for anything! Thanks for the idea.